Ring Bologna – a pork and beef, fully cooked sausage that’s ready to eat. For an old fashioned dinner, simmer in water to heat and serve with a side of baked beans. Average 1 lb. per ring. $5.19/lb. 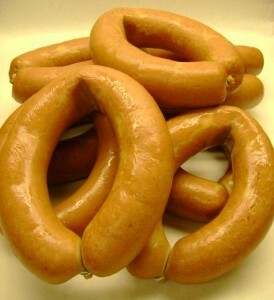 German Style Bologna – a pork and beef, fully cooked sausage similar to Ring Bologna but spicier. Slice cold with cheese and crackers for a great snack. 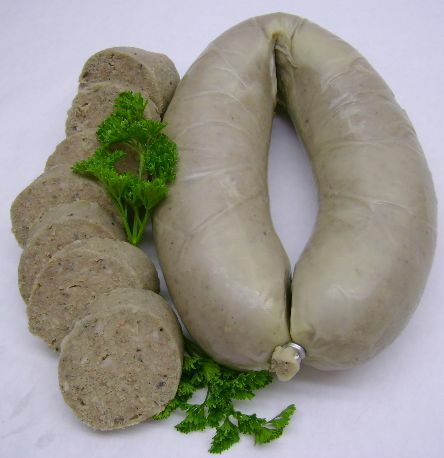 Fresh Liver Sausage – a combination of pork and pork liver made with fresh onion. 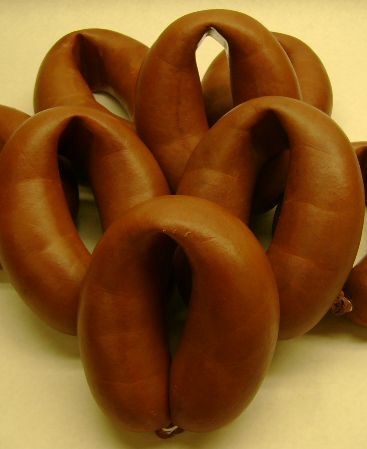 Liver sausage is fully cooked and ready to eat cold or hot. Available in rings as well as lunch style loaf. Average 3/4 lb. per ring. $5.29/lb. 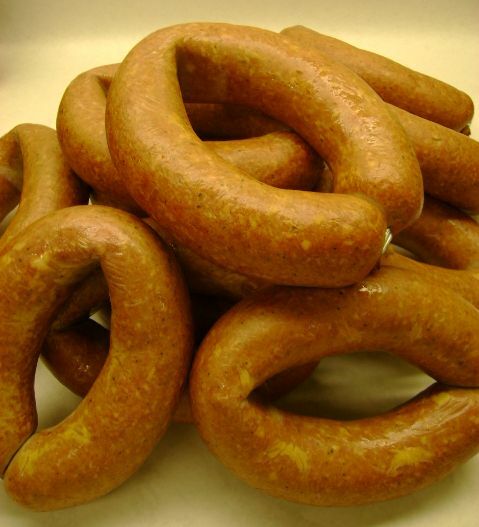 Smoked Liver Sausage – the same as fresh liver sausage but lightly smoked giving it a more firm texture. Great for a snack sliced on crackers. 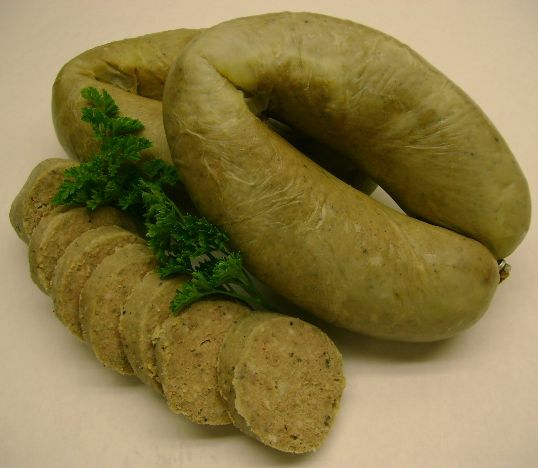 Fresh Blood Sausage – a traditional Bavarian recipe made with pork and pork blood for a very rich flavor. Fully cooked and ready to eat cold or hot. For a hearty meal, heat blood sausage and top it on a baked potato. 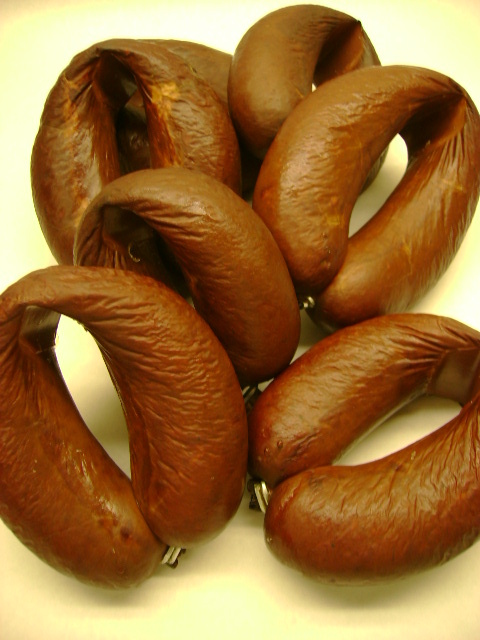 Smoked Blood Sausage – the same as fresh blood sausage but lightly smoked giving it a more firm texture. A unique item on your next hors d’oeuvres tray.